Kim and Craig bring home a bag of rocks to use in Kim's geology class. Lucy takes a liking to one of the rocks, and takes it to the office with her to use as a paperweight. Coincidentally, a miner comes into the office to apply for a job and spots the rock on Lucy's desk, and declares it to be real gold. Kim and Craig may have discovered an old gold mine. Harry then tries to secretly discover where the teenagers found the gold ore. 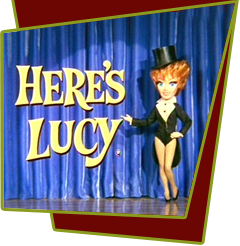 Soon Lucy discovers Harry's motives, and they decide to go in together on finding more gold after Kim remembers the location where she found it. Soon Harry has bought the land for himself. But the catch is that the gold costs more to produce than than the rewards bring in! Special Notes: Rhodes Reason is often seen on this series in small bit parts that require a good looking, macho man.